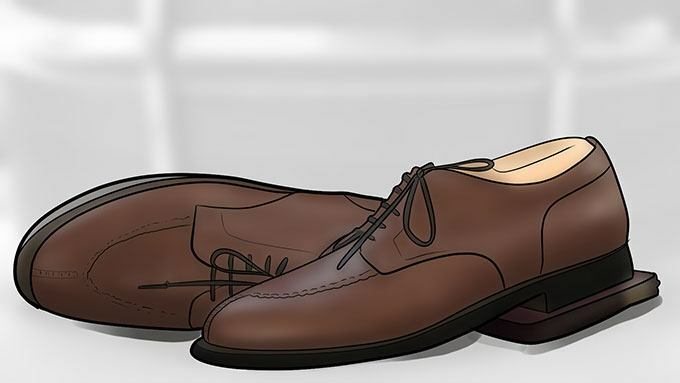 You’ve probably heard the saying, “You can tell a lot about a man by his shoes.” That’s particularly true about men’s dress shoes, which run the gamut regarding design, materials, type, and more. A quality pair of dress shoes paired with the right outfit provides a professional look that’s hard to beat. We want to take you through an in-depth look at the best dress shoes for men (starting with the Allen Edmonds Park Avenue Cap-Toe Oxford ), including the reviews of our favorites, some buying tips, types of dress shoes, and dress shoes vs. dress boots. It’s always important to look your best and the right pair of dress shoes will go a long way toward “telling” some good news about you. Leather is the go-to option for dress shoes. You’ll find dress shoes made from other materials, including suede, but leather is the standard for men’s dress shoes. There are several types of leather, including full-grain, top-grain, patent, and pebble grain. Full-grain leather is the best of the best and is very durable, moisture-resistant, and wears well. Top-grain is just a step below full-grain while patent leather (distinctive by its shiny look) is best for formal events, such as a wedding. Pebble-grain leather features a grainy surface that resembles a pattern of pebbles. 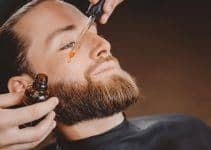 We’ll go into men’s dress shoe styles and types in greater detail later in the article, but you have many options to choose from – wingtips, brogues, and even loafers. Also, make sure to always wear a proper dress shirt with your dress shoes. It’s wise to try on shoes in the afternoon or early evening because your feet naturally swell a bit during the day. A shoe that’s a perfect fit first thing in the morning may feel tighter as the day goes on. Make sure you’re wearing – or bring with you – the type of socks you wear with dress shoes. You want your shoes to have a snug fit, but trying them on with a sock that’s thinner or thicker than what you normally wear will skew the fit. It sounds obvious, but don’t buy a pair of shoes unless they fit from the first time you try them on. 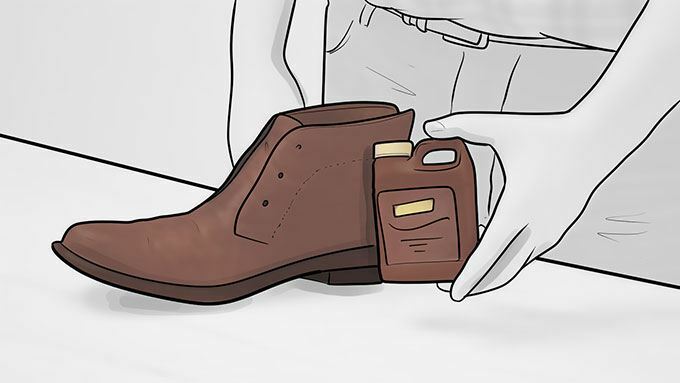 Leather dress shoes don’t have a lot of “stretch” to them and there’s isn’t the break-in period that you’ll find with shoes made of other materials. Don’t try on shoes without having your feet measured first. This becomes more complicated when buying dress shoes online, so make sure you read the reviews of other customers to get an idea of a shoe’s overall sizing. Dress shoes have varying heel heights and it’s often challenging to find the right balance between too high and just right. When in doubt, choose a 1-inch heel. Shoes with an overly-high heel will detract from their dressy appearance. Some dress shoes come without a heel but those work best in casual situations. A dress shoe’s sole contributes greatly to its comfort, and comfort is one of the most important factors – if not the most important – for choosing shoes. 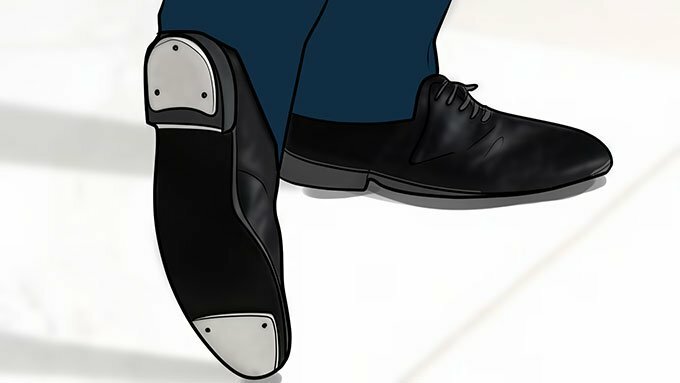 The soles of most men’s dress shoes consist of rubber, crepe, and leather. Rubber soles have the most to offer regarding durability and grip but aren’t necessarily the best option for shoes worn during formal occasions. Crepe is a type of textured rubber (and of cheaper quality) that doesn’t last as long as other sole materials. Leather soles represent the pinnacle of dress shoe sole design and often feel fantastic on your feet. The main downfall of leather soles is that they don’t provide a great deal of traction on floors in which moisture is frequently prevalent. Also known as a full-brogue, this class design extends around to the outside of the shoes and is instantly recognizable. The semi-brogue, aka the half-brogue, features a design along the seam of the toe cap as well as decorative broguing on the center of the toe cap. It provides a more subtle look than full-brogueing. The most subtle form of brogueing, the quarter brogue features decorative brogueing along the seam of the cap toe. Derby shoes typically sport a longwing brogue. The derby shoe includes shoelace eyelets sewn on top of the vamp of the shoe, i.e., the front part of the shoe that starts behind the toe and extends around the eyelets and tongue. As a general rule, the toes of dress shoes should be rounded – especially if you plan to wear them for professional workplace or formal occasions. The same rule applies to buying shoes as it does to any other product: you don’t always get what you pay for. You should consider your budget before purchasing dress shoes, but how much you spend will, in many cases, determine their overall quality. The highest-quality dress shoes sometimes cost as much as $300, or more, but that doesn’t mean you can’t find excellent, perfectly-functional shoes at a lower price. Let’s move on to our reviews of the best dress shoes for men. The Allen Edmonds Park Avenue Cap-Toe Oxford is an old design – 60-plus years old – that’s enjoyed a renaissance. It was re-introduced in 2009 because of popular demand and has been a best-seller and favorite of footwear aficionados ever since. It’s also evolved to become a classic business shoe that looks great in any professional setting. Made from 100% leather, the Park Avenue Cap-Toe Oxford features welted construction which gives it excellent support and durability. It also features a timeless cap-toe design, as well as a leather sole, and a footbed that shapes to the foot for a personalized fit. There’s also more to like about this shoe, not the least of which is straightforward, simple styling that has long characterized the Park Avenue look. The classic cap toe features a hint of broguing that adds to the shoe’s overall elegant finish. The Park Avenue also has a durable feel, one that’s supported by the calf-skin upper but also one that never seems overly heavy. They certainly rank among the most comfortable men’s dress shoes. Allen Edmonds has a well-deserved reputation for quality construction, and the Park Avenue is no exception. The solid-leather sole is extremely sturdy and durable, while there’s double-stitching on the cap toe section, while the overall stitching pattern is meant to provide longevity – which helps to make this relatively pricey pair of shoes a good long-term investment. They’re shoes that can last you a lifetime with proper care (and occasional re-soling). Reviewers say the leather upper retains much of its original factory shine even after it’s faced potentially harmful conditions such as rain, snow, etc. The Park Avenue will serve you well whether it’s a formal business setting or a special occasion because of it’s understated, yet classy appearance. Allen Edmonds is a respected name in the world of men’s shoes and anything they produce is worthy of a long look. The Park Avenue has everything that quality leather men’s dress shoes should have. When you consider that Clarks has been around for nearly 200 years, it’s no surprise that they’ve manufactured over 20,000 shoe styles. Trying to pick the best styles from such a wide body of work is next to impossible, and we’re not here to say their Tilden Cap Oxford Shoes are the best of the best. But they’re pretty damn good when compared with other contemporary dress shoe designs. The Tilden Cap Oxford aptly represents Clarks’ commitment to innovation and designs that represent both the past and the here and now. The same company that began when brother Cyrus and James Clark constructed a slipper from sheepskin – which apparently was ground-breaking at the time – now makes innovative underfoot cushioning, while relying on rapid prototyping and even 3D printing. You’ll find everything Clarks has to offer in the Tilden Cap Oxford: 100% leather uppers, a sturdy rubber sole, built-in Ortholite insoles that help cushion the foot while wicking away moisture odor and fungus, and quality fabric lining. They also have a secure lace closure. The Tilden Cap pairs beautifully with dressy work clothing and suitable for formal events. And, considering their affordable price, they rate among the best value dress shoes. The Tilden Cap Oxford is a strong seller and popular among men seeking a contemporary men’s dress shoe with classic styling. And, coming from Clarks, you needn’t worry about the quality of their craftsmanship. Loafers often represent a trendier style, and when it comes to cool men’s dress shoes, the Cole Haan Pinch Tassel Loafer ranks among the best. It’s also among the most versatile loafers in that it looks good with both formal and casual wear, all while setting a high standard for quality and comfort. Not all loafers provide a dapper look, but Cole Haan is a premium luxury brand that pulls it off in a variety of ways. The Pinch Tassel Loafer upper consists of 100% imported leather, while its sturdy-yet-comfortable sole combines both leather and rubber for excellent stability and traction. 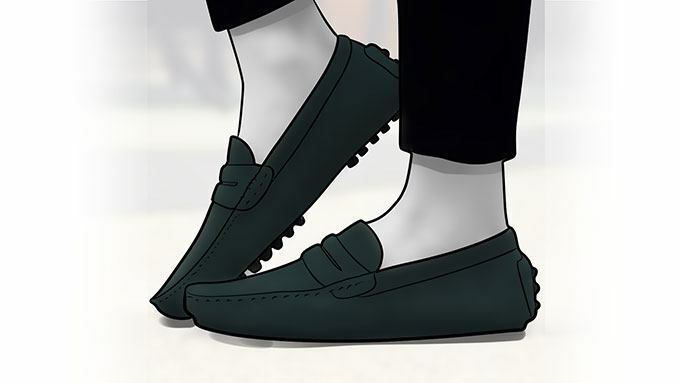 Comfort also comes from a padded sock lining that’s soft enough that you can wear these loafers without socks. Of course, being a loafer, it’s a shoe that also offers the convenience of slipping them off and on without having to deal with laces – which is a plus for many men. We think it’s one of the best dress shoes for standing all day. The Pinch Tassel Loafer has a 1-inch heel, also made of leather and rubber, and moccasin-style toes. Whether you spend most of your workday on your feet or sitting at a desk, you’ll appreciate the overall comfort of these shoes. Like with all of Cole Haan’s products, the Pinch Tassel Loafer features artisan-quality craftsmanship. It also captures the essence of America’s Roaring 20s while still providing a contemporary feel. It’s easily one of the most popular tasseled dress shoes available. If you prefer loafers above all other types of dress shoes the Cole Haan Pinch Tassel Loafer is a shoe that offers everything you need. The history of the monk strap shoe dates to the middle ages, so to say it’s a traditional design is an understatement. But it’s a style of shoe that’s still relevant today and reaching new levels of popularity. That’s one reason why we include the Florsheim Men’s Sabato Double Monk Strap Oxford on our list. It’s an ideal option for men who want to ditch the laces but still maintain a contemporary, classy look. But there’s plenty of other things to like about this shoe, including its 100% leather upper that’s breathable and helps keep your foot cool and dry during a long day at the office or during a long night of revelry with friends. Its leather lining is also breathable and contributes to the shoe’s overall comfort. The shoe’s fully-cushioned footbed helps keep you comfortable all day, as does its flexible, synthetic sole. And like all of Florsheim’s shoes, it comes in a wide range of sizes and widths to make it easier for you to find the perfect fit. Florsheim is a respected U.S. shoemaker that’s been around since before the 20th century while maintaining a tradition and reputation for workmanship, style, and comfort. The double-monk strap look has become increasingly popular in recent years and Florsheim’s Sabato Oxford is a strong performer in the category. You’ll appreciate the craftsmanship and comfort that these shoes offer. Some occasions call for formal footwear, like most weddings or other events in which a tuxedo is an appropriate attire. But if you’ve ever rented formal shoes for those occasions you know how your feet, ankles, and calves can feel the next day, i.e., the sort of pain only a masochist would love. Why not wear a quality pair of formal shoes when the occasion calls for it instead? The Stacy Adams Men’s Gala Lace-Up Oxford is a good option, one that combines a classic look with the kind of comfort that won’t beat you up in the lower legs. There’s a lot to like about this shoe. Manmade from 100% leather, the Men’s Gala has a classic cap-toe lace-up design with a patent gloss finish that makes it ideal for formal wear. Comfort comes from a fully-cushioned insole with memory foam, as well as superior padding that delivers plenty of shock absorption. The shoe’s synthetic sole is flexible and includes detailing on the midsole and heel for excellent traction. The shoe also has lightweight construction that still offers excellent durability. It also comes in traditional black, but also white, red, navy, and gray. The Stacy Adams tuxedo shoe is an affordable yet stylish option for men needing shoes for formal wear. It’s lightweight enough that it won’t weigh you down but still sturdy enough to stand up to a long evening on your feet. If following the crowd isn’t your thing and you want to sport a unique, yet work-appropriate shoe, then the Atlee Ballistic Nylon Oxford may be what you’re looking for in a dress shoe. They are, after all, bright red (and you can buy them in other colors) but versatile and classy enough to wear both in an office setting and a night on the town. Calvin Klein is a big player in the world of fashion and luxury goods and you may or may not know about their line of shoes, which typically earns decent marks thanks to items such as the Atlee Ballistic dress shoes for men. The latter are made from 100% fabric (in this case, nylon) with a faux leather lining. They have a rounded toe, while the flexible rubber sole helps make them comfortable to wear even if you’re on your feet a lot. The fact that they’re super lightweight helps to add points in the comfort category, as well. This shoes also features an EVA midsole, a cushioned footbed, and a lace-up closure. All in all, the Atlee Ballistic Oxford is a stylish shoe that’s work appropriate and easy to wear. The Atlee Ballistic is as stylish as you’d expect from a Calvin Klein product and versatile enough for a variety of occasions. You’ll like how they feel and look. Honestly, there are several Allen Edmonds shoes we could include on this list because they simply make a lot of really good shoes. We’ve already included their Park Avenue Cap-Toe Oxford and there are a batch of deserving others, but we think the Strandmok Oxford Shoe ranks right up there. The Standmok has a timeless, yet-vintage look that borrows from the Allen Edmonds’ Strand design with a few new twists – such as burnished nubuck (cowhide leather that’s rubbed to give it the feeling of suede) loaded with natural oils that form an attractive patina the longer you wear the shoe. We also like the cap-oxford that features decorative broguing and contrast stitching; it’s a great-looking shoe that’s suitable for casual and formal occasions. The Strandmok comes with a Dainite rubber outsole with a split reverse welt that provides extra stability. The heel also consists of Dainite rubber that helps to protect you and your shoe from the elements. The insole, meanwhile, offers extra cushioning and consists of Poron, a urethane cushioning material often used in shoes made for people with potentially painful foot issues. One of the many positives of the Strandmok is its versatility: it pairs well with casual and business casual wear, as well as with more formal attire. The Strandmok features a vintage look combined with a contemporary design that’s suitable for just about any occasion. It’s quality you’d expect from the Allen Edmonds’ line of shoes. How long a dress shoe lasts often comes down to its construction. It only stands to reason: a poorly-made pair of shoes with cheap materials won’t last as long. But a shoe’s longevity also comes down to how you take care of it. You have to do your part to protect your investment, and there’s nothing overly complicated about it. Also, when or if your shoe becomes damaged, you don’t necessarily need to panic and buy a new pair – try to repair them first instead. Waterproofing is preventive medicine for your shoes. Your shoes are likely to get wet at some point despite your best efforts, and excess moisture can stain and damage your shoes. Waterproofing products come in spray-on solutions, wax-based polishes, and specialty protectants. Spray-on waterproofing is easy and quick to use and the choice of many men, but the other types are just as effective. It’s a good idea to waterproof your shoes when you first get them and then periodically after that. You can even waterproof them once a week if you live in a rainy climate. You’ll know it’s time to waterproof your shoes when water stops beading up on the surface. The last thing you want is for your leather shoes to develop cracks; once the cracks start, there’s no turning back. Using a leather conditioner, even just once a month, prevents cracks from developing while keeping the leather soft and pliable. Regular applications of a suede protector will protect your suede shoes from stains. Suede stains easily, so clean your shoes ASAP when stains develop. Using a suede brush with nylon bristles is a lighter, gentle way to clean dirt, grime, and stains from your shoes. 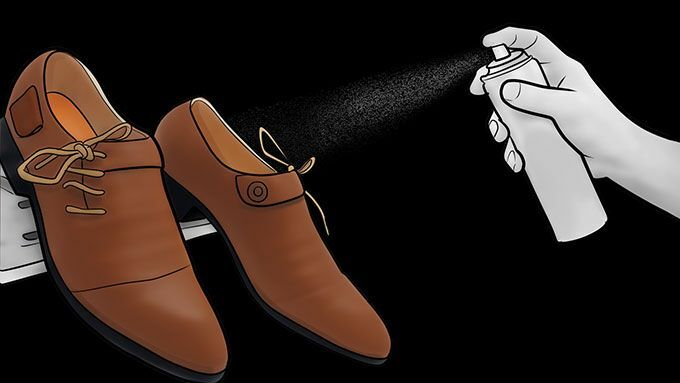 Regularly polishing your leather shoes extends their lifespan while helping to maintain their original, as-new look. Even polishing your shoes just once a month will help protect your shoes and keep them looking their best. We recommend using a shoe brush (preferably one with horse hair bristles) to remove dirt and dust from your shoes before you apply polish. If the grime is particularly difficult to remove, use a slightly-dampened rag to wipe it off. You can use plenty of household items to apply the shoe polish: old socks, a soft cloth, rags, a T-shirt, etc. You only need to apply a thin layer of polish that leaves a slightly cloudy appearance. 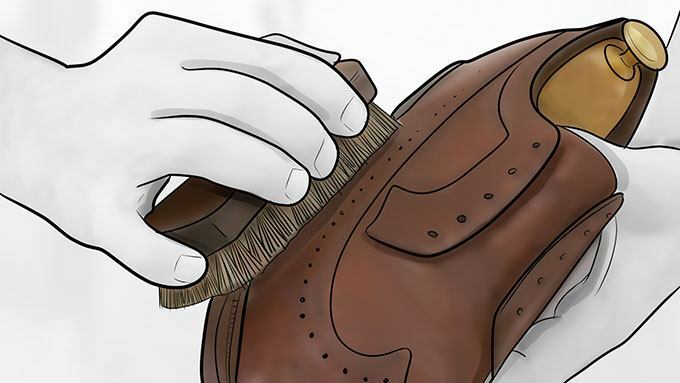 Give the polish 10 minutes to dry, or more if needed, and then use your shoe brush to buff the polish vigorously. Apply the finishing touches with a soft cloth or sock and bring it to a high shine. Properly storing your shoes is another important element in maintaining them. We know the drill: come home, kick your shoes off by the door and then leave them there until the next time you wear them. The (far) better option is to use a shoe tree, which is the footwear equivalent of a quality suit hangar. 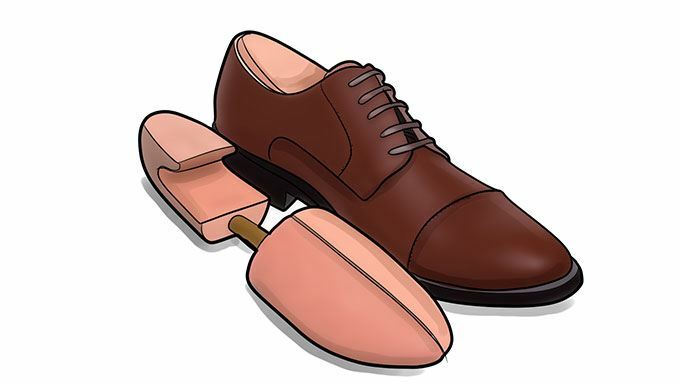 A shoe tree placed inside of your dress shoes will preserve their shape and lengthen their lifespan. Wooden shoe trees are best and help dry out your shoe’s lining by absorbing moisture. 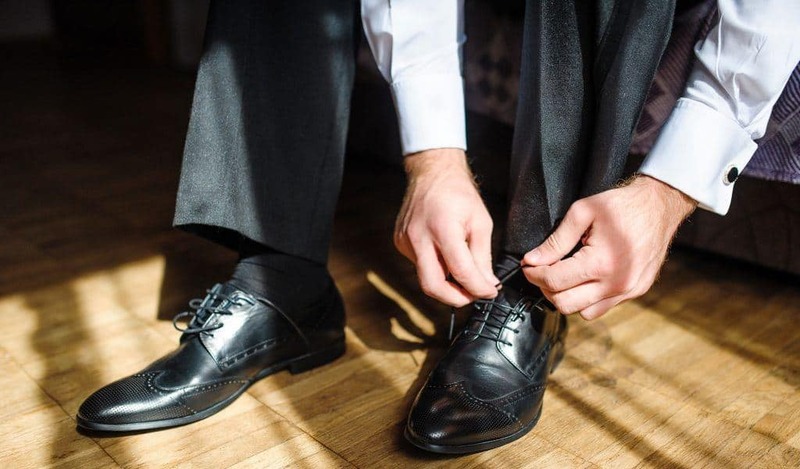 Dress shoes are often a bit stiff, especially when they’re new, and a shoehorn helps to keep from cramming and wiggling your foot every time you put on your shoes. 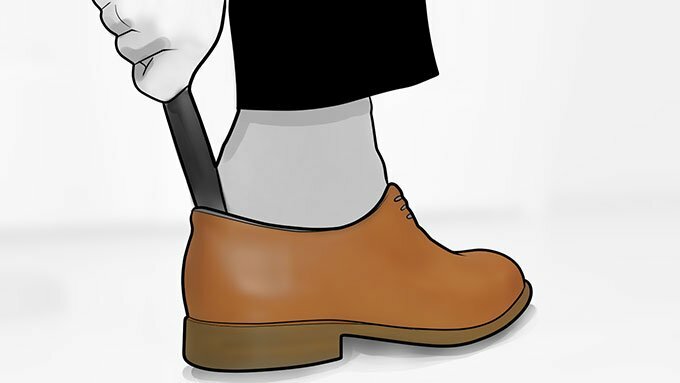 A shoehorn protects the shoe’s heels while preventing the back of the shoe from wearing down or becoming misshapen. 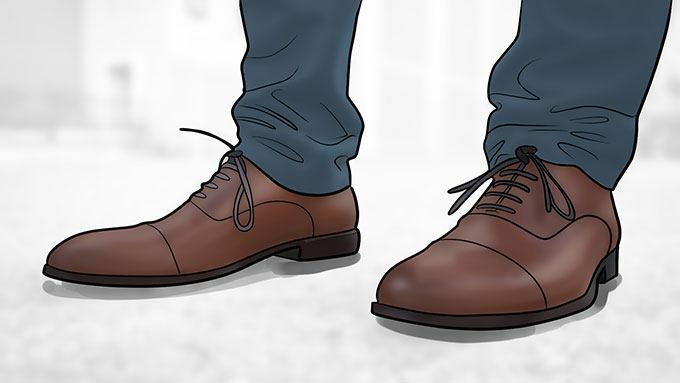 A great pair of shoes with a bad set of soles is like an expensive sports car with cheap tires, and that’s why it’s important to keep the soles high on the list of things to consider when buying dress shoes. The best way to take care of your soles, besides not walking around in harsh weather conditions or on terrain that’s hard on dress shoes, is to take them to a local cobbler, who can add something called taps to your soles which act as buffers between the heel and ground. Back to the tire analogy: a shoe’s soles wear out over time. The shoe’s upper can last many years, but even the highest-quality soles may wear out within five years. But instead of buying a new pair of shoes, you can have the soles replaced for a modest amount of money. After all, you don’t replace your car once the tread has worn out on its tires. The Oxford represents the timeless, classic style of dress shoe and one that will serve you well for any professional or formal setting. 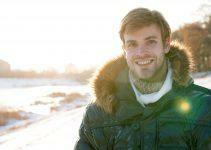 But they’re also versatile enough for use in more casual settings; it’s truly a style that remains as relevant as ever. Among an Oxford’s distinct features is its facing stitched under the vamp, a feature known as “closed lacing.” It helps to provide a minimalist look that many men love, and one that goes with just about everything. Oxfords typically consist of leather or suede and come in many colors, although dark brown, black, and English tan pair well with business attire. A variation on the traditional design is the one-piece Oxford that consists of a single piece of leather instead of multiple pieces sewn together. It’s a no-nonsense, simple style with plenty of sophistication. It’s easy to confuse the classic Derby with an Oxford because of their shape and other similarities. The main difference is that the Derby’s facing is stitched to the top of the vamp, i.e., open lacing, and it makes for a wider overall fit than with the Oxford. Some men find the Derby more comfortable for that reason. The Derby’s beginnings date to the 19th century when its main use was as a hunting/sporting boot. The loafer best fits under the casual shoe category, but many men wear them with business attire, and not wrongfully so. The characteristic feature of a loafer is that it’s a slip-on shoe without laces. It gained popularity as a dress shoe in the 1960s when paired with suits and other more formal wardrobe options. 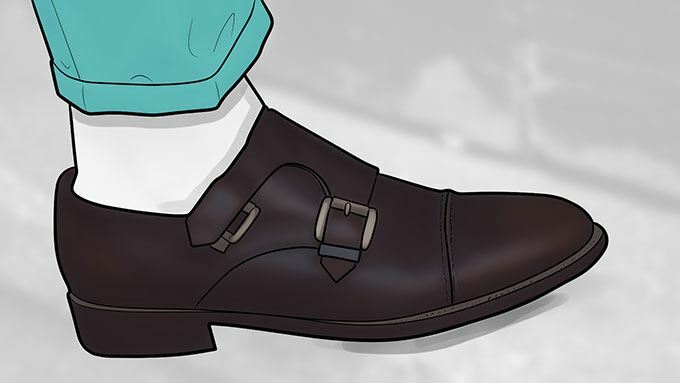 The monk strap looks very similar to an Oxford, except that it has a swath of leather fastened across the top of the shoe (the monk strap) that fastens with a single or double-buckle enclosure. The monk strap isn’t quite an Oxford or a Derby but fits somewhere in between regarding how suitable it is for formal occasions. They offer a classic alternative to laced dress shoes and have enough versatility to pair well with nice jeans or a business suit. Monk strap shoes generally consist of leather or suede and often have decorative brogueing. We neglected to mention dress boots among our categories for dress shoes even though you’ll find them listed in numerous articles as being a type of dress shoe. 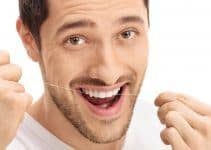 It’s not that we disagree, but there are enough differences between the two – besides the obvious differences in how they look – that it’s worth making a comparison. Unless, well, you grew up far from civilization, you can tell the difference between a boot and a shoe with one glance. You know, the boot represents footwear that covers the entire foot and a good portion of the lower leg, while a shoe’s design fits the foot below in the ankle and has a flexible upper and a sole made from heavier, sturdier material. Boots provide superior protection from water, snow, industrial hazards, and during arduous work such as construction. And that was the original intent of boots, to offer more protection than a shoe, but now the boot has a deserved place in the world of style and fashion. The original Chelsea boot design dated to Victorian England but enjoyed a massive surge in popularity in the 1960s thanks, in part, to the fact that four members of the Beatles wore them. But they’ve retained their original style: ankle-length, low heels, and rounded toes. They also include elastic gussets that make them easy to pull on and slip off (there are no laces). The Chelsea boot style serves it well in dressier occasions, and are the ideal dress boots to wear with a suit. It’s an elegant style that complements rather than detracts from the look of a classic business suit. Suede Chelsea boots offer a toned-down appearance and look great with more casual attire. Note: Chelsea boots look best with slim pants. When you think Chukka boot, think of British soldiers who fought in the North African desert during World War II. Chukka boots provided a lightweight alternative to traditional military boots and then became popular with the mainstream public after the war ended. Chukka boots pair best with casual outfits, such as those that include blue jeans, and shouldn’t be your first choice when looking to buy dress boots. Brogue boots resemble brogue shoes in that they have laces and a brogue finish (not unlike wingtips). 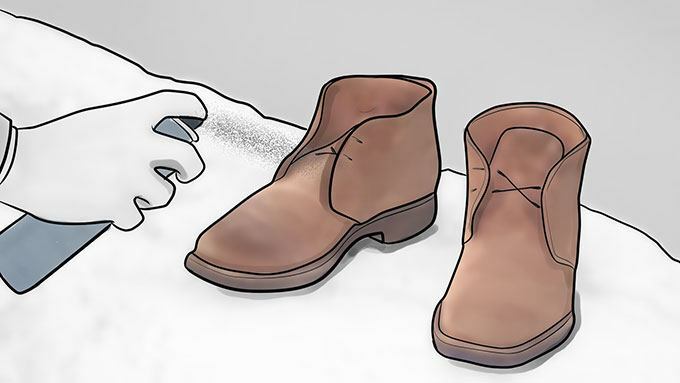 They rise above the ankle, like any boot, and that makes them excellent for wear during the winter – some say they’re the best dress boots (or shoes) for snowy conditions. While brogue boots can complement business attire, they look best when paired with casual types of clothing such as jeans. Like with the Chelsea boots, pair them with slim-legged pants or jeans. The British brogue boot has distinctive detailing and comes in both Oxford and Derby styles. The derby boot has a similar look as a brogue boot but with a smoother finish and slimmer form. They pair well with business clothes although you should limit your color choices to dark brown or black if you plan to wear them in more formal settings. Black leather derby boots look great with a tweed suit. Oxford boots work well for many formal occasions. They have a slightly neater finish than Derby or brogue boots, and you can get them with brogue-like detailing. Oxford boots come in a variety of materials, including canvas, leather and suede. Brown oxford boots paired with navy trousers presents a classy professional look. Most shoes, not just dress shoes, have a lot of moving parts, so to speak. Many elements go into making a good shoe and the quality of those elements affects a shoe’s comfortability – always an important factor. Design always is important when considering dress shoes, while we also like those with a lot of versatility, i.e., they’re good for professional work settings but also for a night on the town. Value also is important; there’s nothing wrong with spending a lot of money for a shoe if it looks great, is durable, and feels good on your feet. We’d also love to hear from you. What type of dress shoe do you wear? Why do like them? Have you worn any of the shoes on our list. Let us know – we welcome your comments and suggestions.